Folding door system which requires no top track or floor channel. Residential & Commercial pedestrian and cupboard doors where space is a premium. Various sized kits are available and are listed below. 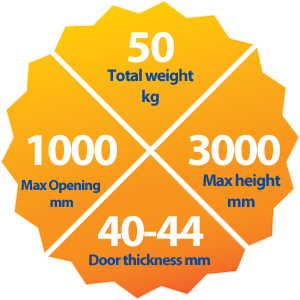 Please ensure the correct handing of the door when ordering and use the Technical details to correctly ascertain the kit you need.